The Central Market in Valencia is one of the oldest markets still in existence in Europe, and is an imposing structure in its own right with its massive steel structures, coloured wall tiles and stained glass dome providing natural light into the market. 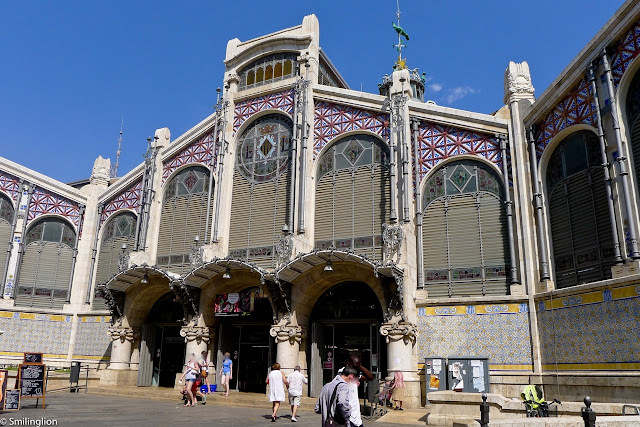 It was designed and built in the modernist style with characteristics typical of Valencian architecture about a hundred years ago. Despite the sweltering heat of the summer, the interior remained very cool throughout, and unlike the La Boqueria market in Barcelona, it was very clean and quite civilised despite the large crowd. 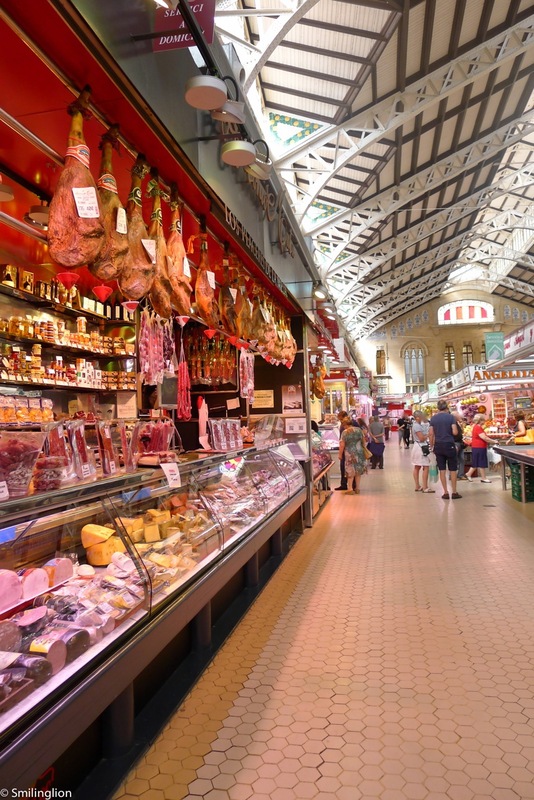 The market looked smaller from the outside than it felt inside (it has more than 80,000 sqft of floor area), and walking along the numerous aisle of vendors selling everything from raw seafood, meats, cure meats, fruits and flowers, it was quite easy to get lost. 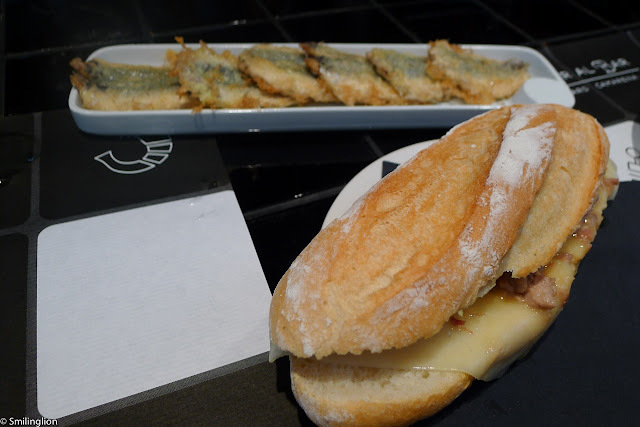 In fact, we took quite a while to find what we were looking for: the tapas bar opened by Ricard Camarena, whose restaurant we had such a good meal at the night before. 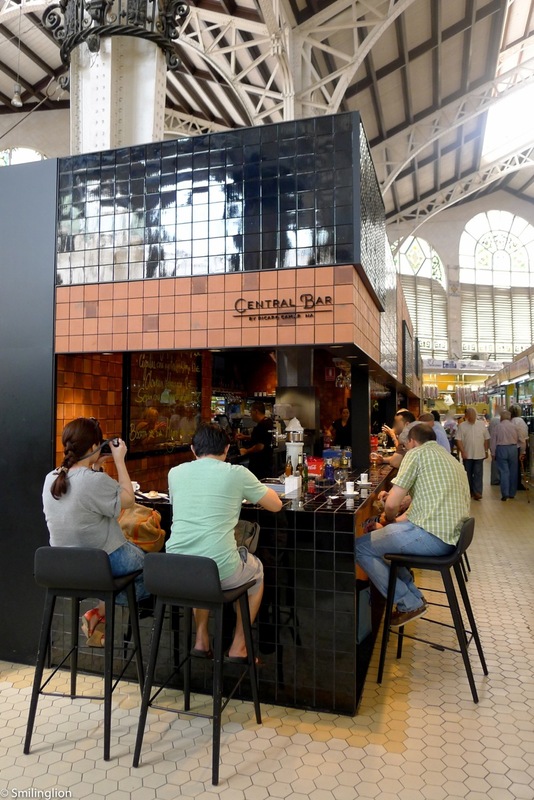 After walking around for almost half an hour, leaving the building and trying to look for it amongst the food stalls outside and surrounding the market, we finally stumbled upon the Central Bar by Ricard Camarena. Surprisingly, it appeared to be the only tapas bar in the massive market. It was quite busy but we were fortunate to find two seats by the bar. 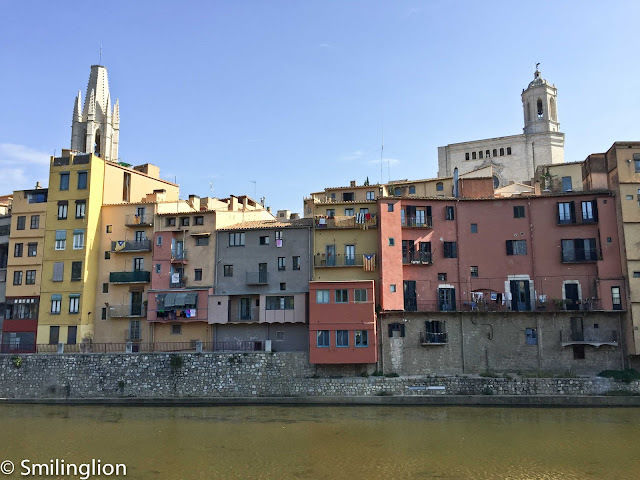 The food here was very good and reasonably priced, and we ended up ordering a significant amount of food, drawing curious glances from the local diners around us. 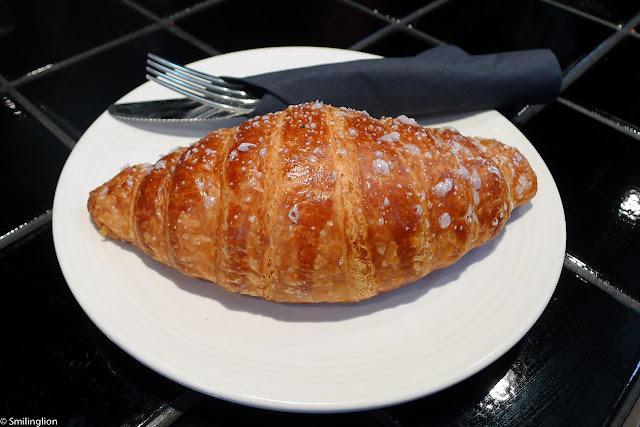 We started with the sweet croissant, which tasted like the chuchos but without the fluffy texture. 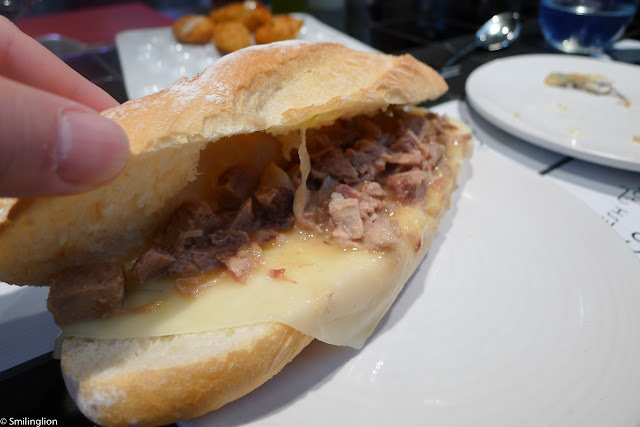 The Ricard Camarena sandwich was a popular one with the other diners so we tried it as well. It was filled with a freshly grilled pork loin and served on a slice of cheese between the two slices of bread. This was very good. 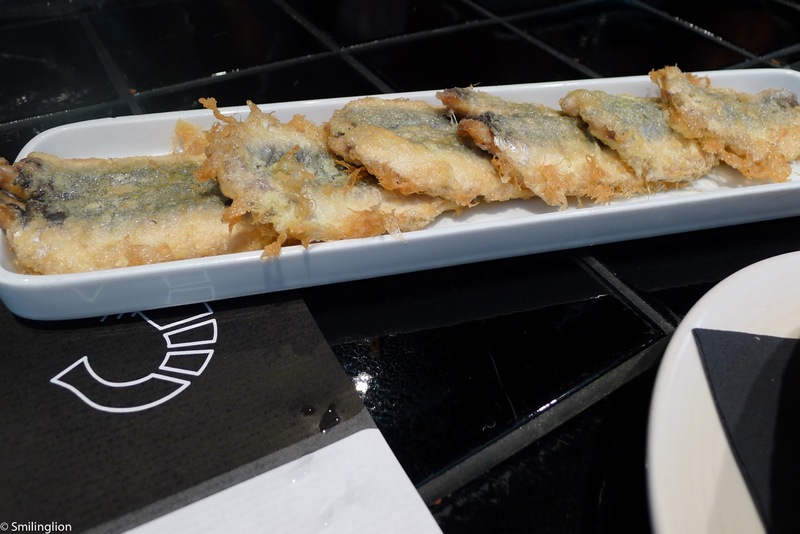 The deep-fried anchovies were also very good. The crusty layer was fried egg-white and it was light and crispy. 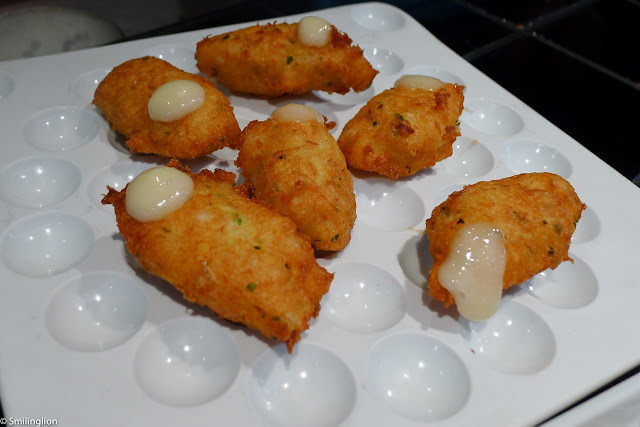 We didn't like the cod croquettes so much, and felt that they were too salty. 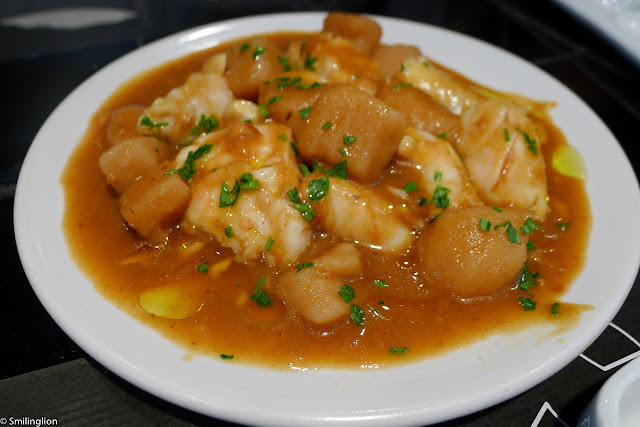 After the wonderful monkfish the previous night at Ricard Camarena, we had to order the monkfish again. Though it wasn't as good (as expected), nonetheless we loved the springy texture of perfectly cooked monkfish with a home-style potato stew. 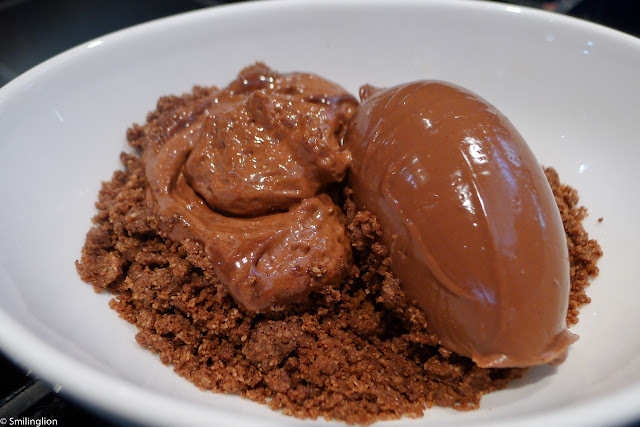 The chocolate dessert was reminiscent of the one we had the previous night, once again this was a dish which looked so simple but was so expertly put together. It was simply divine. Final Thoughts: We enjoyed our casual breakfast at the Central Bar during our visit to the Central Market. They had some decent tapas and it was a good place to chill out and have a bite and a drink while exploring the market.